Linking of the technique specific reference points by their corresponding space vectors, usually determined by a local survey within a local geodetic network, which is also used for the monitoring of the local site stability. A fundamental station for geodesy enables the link and the transformation from one technique specific reference frame (e.g. 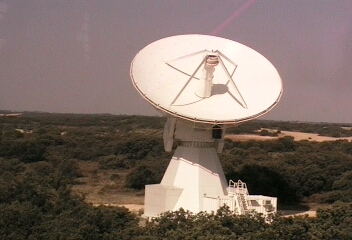 VLBI) to another (e.g. GNSS) by coordinate transformation. Fundamental stations are constitutive for the realization of the ITRF which is based on observational data produced by VLBI, SLR, GNSS and DORIS. (Extracted from Encyclopedia of Solid Earth Geophysics).